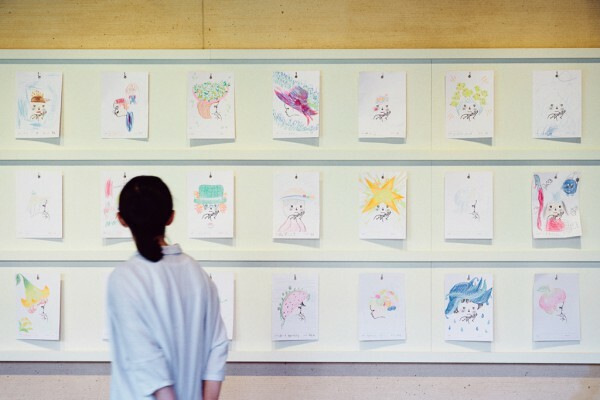 In commemoration of the 100th birthday of picture book painter Iwasaki Chihiro, the special exhibitions are held in different themes for each artist and writer throughout the year. 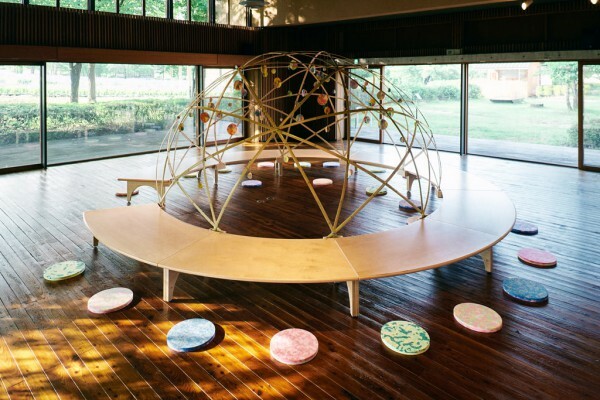 We did an installation at the Azumino Chihiro Art Museum with the theme "Children's room". 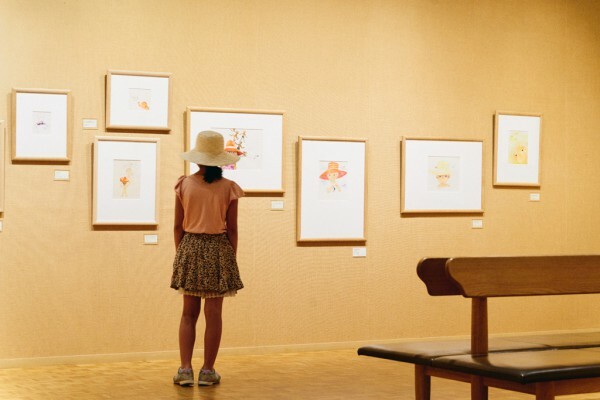 Hats are the motif for many of Chihiro’s paintings. 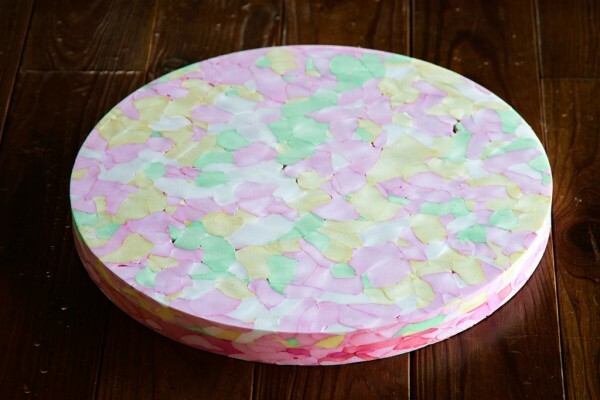 A broad‐brimmed hat, Knitted cap, steeple‐crowned cap,,, the shape and color vary according to the setting as if to express the emotions of the children in the painting. 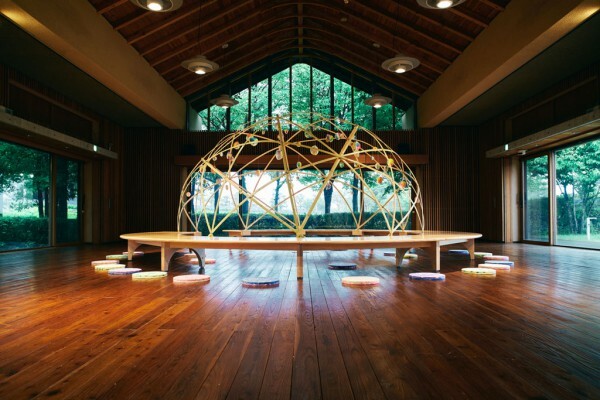 The hats may have been used to provide a sense of security for the children, somewhat like their home which is closest to their heart. If it is big enough, the hat can become, as it were, a special personal hiding room. 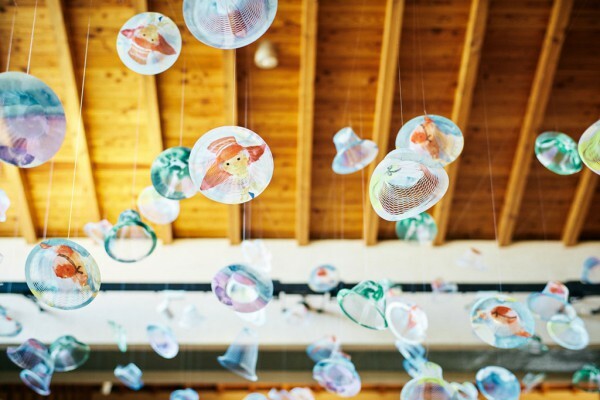 We got the idea to design such wonderful children’s room with hats as the motif　for the installation. 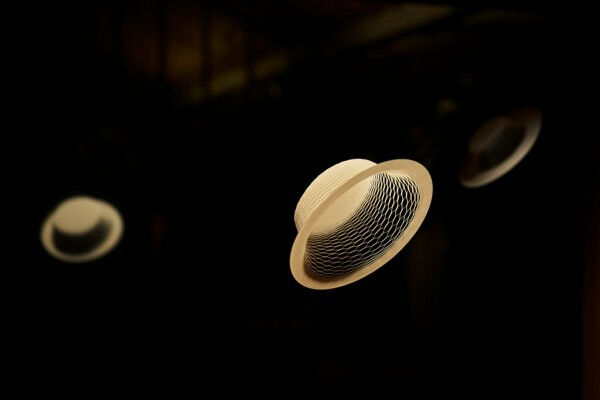 The floating airvases leads people from the entrance of the museum towards exhibition rooms while they changes their shape to the shape of hats. 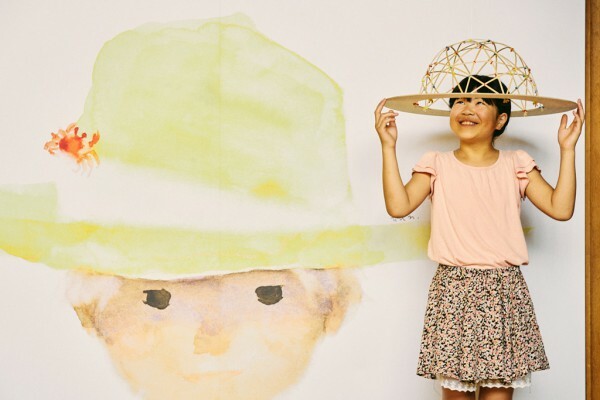 In the last exhibition room, a hat-shaped "children's room" appears with the motif of Chihiro 's straw hat. 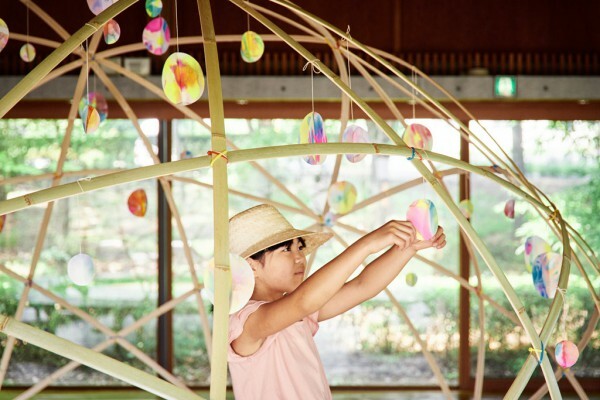 The head part of a big hat is made of bamboo, where you can enter inside and play. 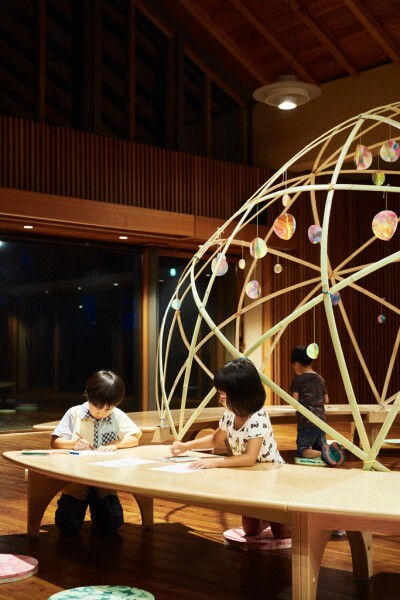 The part of the brim can be used as a large table that children can enjoy painting and reading. 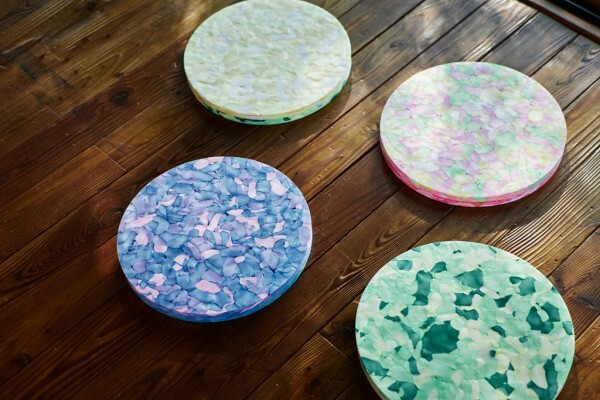 The cushions placed around are made by mixing colorful foaming materials with hint of Chihiro's watercolor painting. 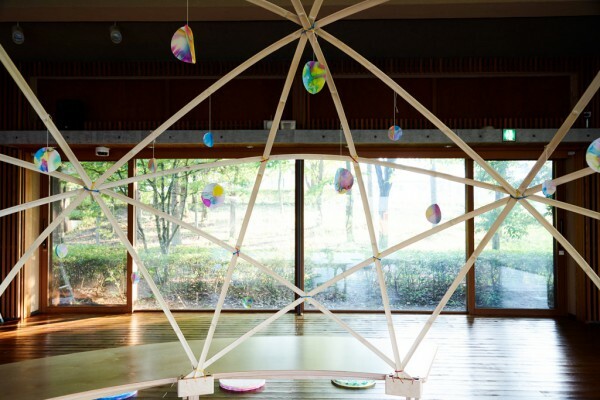 During the exhibition, the ornaments made at the workshop which experiences the“spreading” technique characteristic of Chihiro’s paintings are hung in the hat, and it gradually changes during the exhibition. 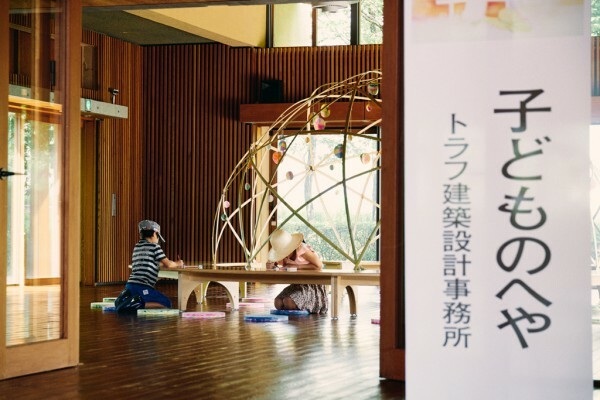 We aimed to create a space where children can experience the world of Chihiro while they being wrapped in the hat and play.